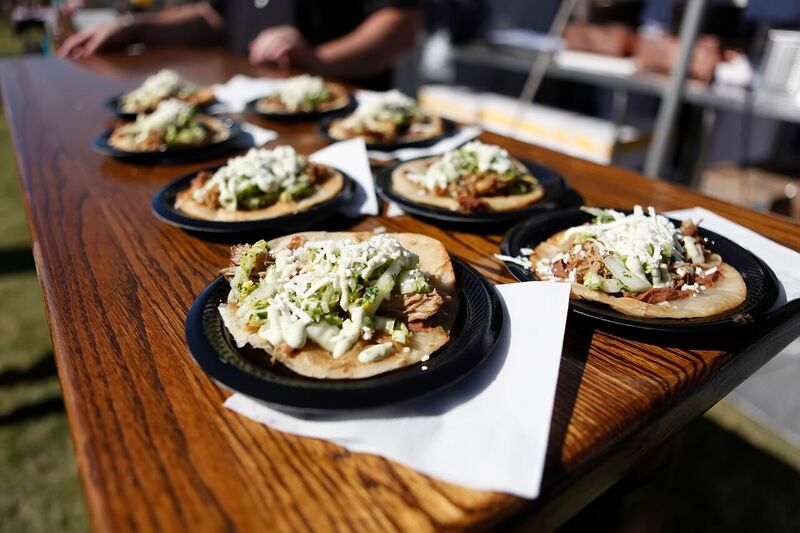 The 6th Annual Arizona Taco Festival is set to bring another year of fiesta fun with more than 50 teams competing for $10,000 in cash, while an expected 25,000 attendees nosh their way through more than 100 types of tacos throughout the weekend. Arizona Taco Festival, Sat. and Sun., Oct. 17 & 18, will run from 11am-7pm each day, offering $2 tacos in chicken, pork, beef, seafood, veggie, dessert, and anything-goes varieties, as well as salsa, guacamole and other related Mexican fare. Restaurants, caterers, amateurs, and nightclubs are prepared to sell enough tacos to cumulatively dish out 100,000 total tacos for attendees. The Arizona Taco Festival pits these participants against each other in a double-blind competition. Tacos are submitted to more than 50 National Taco Association judges sequestered in a closed tent for truly anonymous scoring. Points are awarded and weighed for presentation, taste and texture. Cumulatively, the scores lead to an overall Grand Champion title and $1,000 checks each day. Outside the judge’s tent, this exciting festival rages on with live Lucha Libre wrestling, a now-legendary Tequila Expo with more than 30 brands participating, and live surf and salsa bands on the main stage. Contests for ‘best sombrero,’ the prettiest Chihuahua, hot chili pepper eating, taco take-downs, and flair bartending round out the fun. The festival humbly began on a dirt lot in the heart of downtown Scottsdale and has since moved to an eight-acre grass field at the Spring Training home of the Arizona Diamondbacks — Salt River Fields at Talking Stick. The Arizona Taco Festival is believed to be the world’s first taco festival, and the Valley’s fastest growing culinary event. Tequila Expo Tent, Sat., Oct. 17. The main tent hosts the popular Tequila Expo. Inside, patrons can sample from more than 100 tequilas. A tasting pass is $20 for 10 samples of fine tequila. Ay Chihuahua! Beauty Pageant, Sun. Oct. 18. 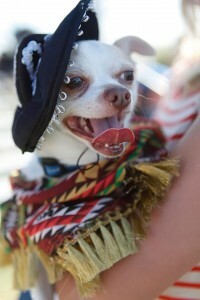 Sunday at 2pm, watch more than 15 sassy Chihuahuas strut across the Main Stage. Live Lucha Libre Wrestling. Enjoy live Lucha Libre wrestling all weekend long from comfortable seating around the ring. Also, get a change to meet the wrestlers themselves during the meet-and-greet. Taco Judges. 50 certified judges using a double-blind scoring system created by the National Taco Association will award cash and trophies for each category. Main Stage. The Main Stage will offer constant live music from surf to salsa. Tequila Herradura Barrel Art Unveiling. Local artists painted the heads of Herradura Tequila barrels prior to the festival, and attendees can vote on their favorite. Decked-out Lounges by Local Businesses. Whether it’s shaded seating or a party tent for dancing, local restaurants and bars will go all-out this year to turn the Arizona Taco Festival into the biggest party in the Valley. Tickets & Parking. General admission tickets are $12 online, $15 at the gate; kids 12 and under FREE. General admission two-day passes are $20 online. VIP tickets are $85 advance online and $100 day of and include limited drinks from the VIP bar, taco tokens, and private restroom facilities. Parking is FREE for all patrons. Purchase tickets online at www.SaltRiverFields.com/events.aspx. About Arizona Taco Festival. The Arizona Taco Festival was founded by David Tyda and Rick Phillips of Affordable Food Festivals. They have a combined 30+ years experience in media, publishing, marketing and promotions. In reaction to high-priced, exclusionary culinary events, the duo formed a company that orchestrates events with three components: a food competition, low price of entry and lively festival atmosphere. They also produce the Arizona Barbecue Festival, Scottsdale Beer Palooza, the most recent Taste Tequila, and run the popular food blog, EATERAZ.com.